Generate WP: these guys have a number of useful code generators for WordPress. 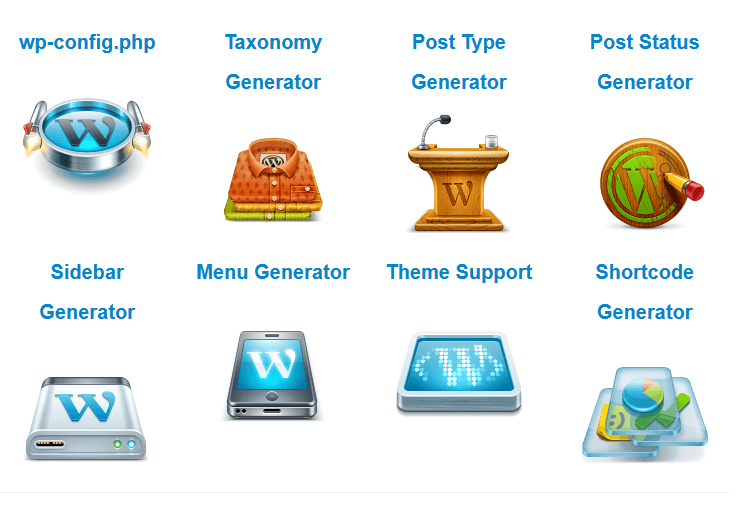 Their tools cover wp-config.php, post types, shortcodes, menus, and sidebar codes. WP Query Generator: an interesting tool that generates WordPress queries based on the information you feed it. You should know your stuff before even trying tools like this. 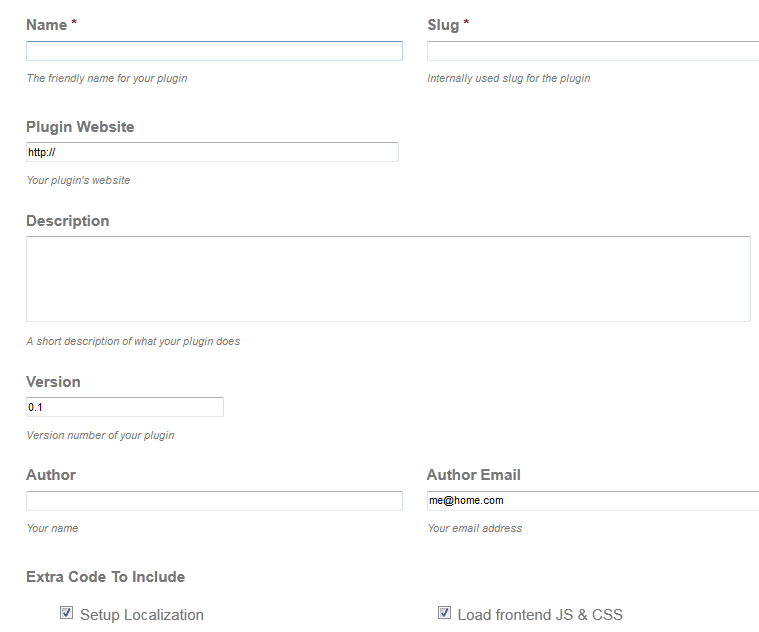 WordPress Plugin Boilerplate Code Generator: this tool is developed by the folks at Themergency. It could prove useful for those of you developing your own plugin. Just fill out the appropriate form, and you are set. Themergency has a few other useful code generators too. These WordPress code generators can’t do everything for you but do save you time. Have you found better code builders for WordPress? Please add them here. Seems like the WP_Query generator on wpQueryGenerator.com has only 9 parameters and the WP_Query generator on GenerateWP.com has 36 parameters. Both are usefull, but the first is for new developers and the second is for advanced developers. Yes. Sorry. We should have done a better job explaining what each of these tools do.